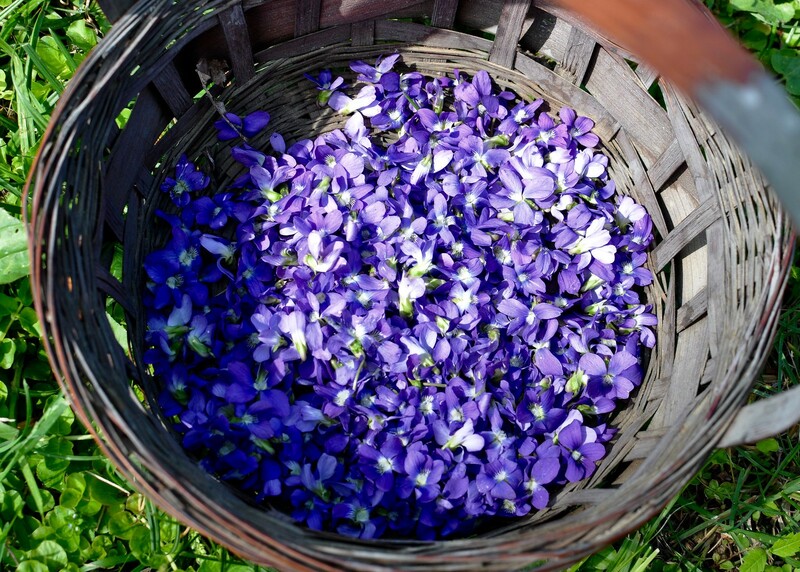 This spring, wild violets have been abundant. 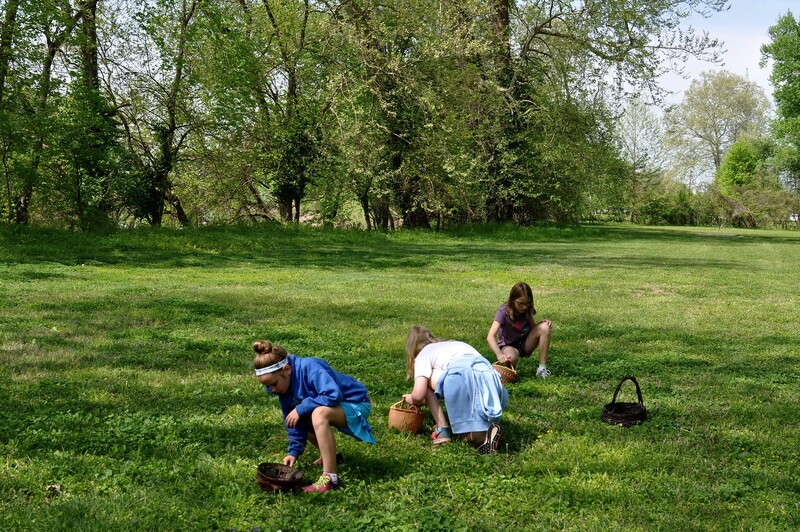 After picking a bunch during recess one day, some Upper Elementary girls decided that they would like to make something. 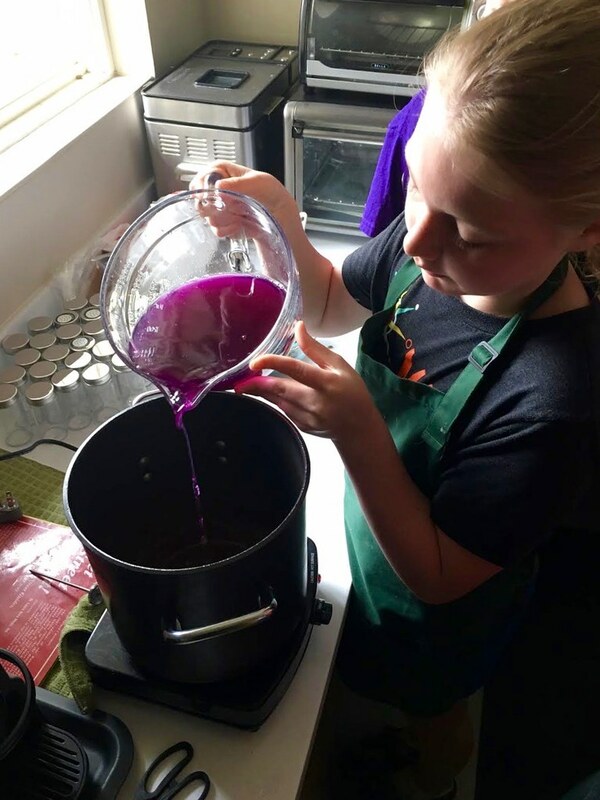 After some research, they decided they would try their hand at violet jelly! 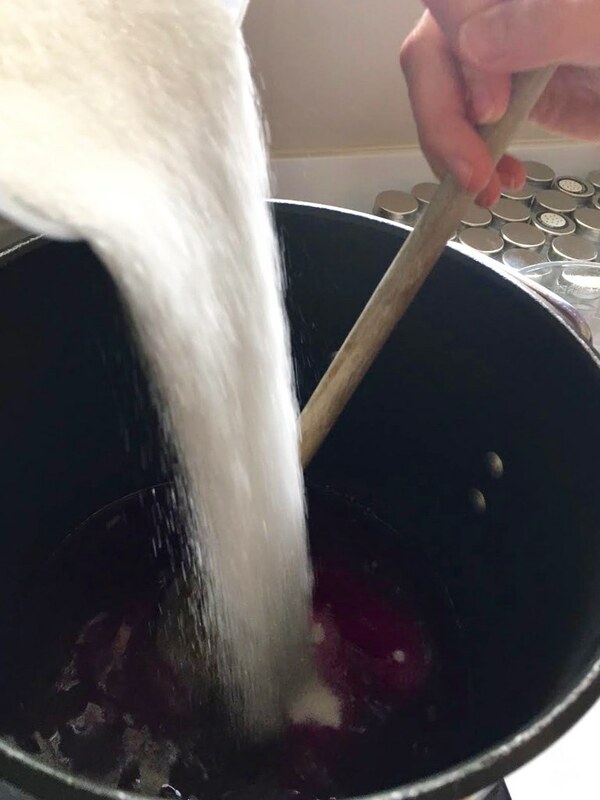 Below, the process, along with the recipe. 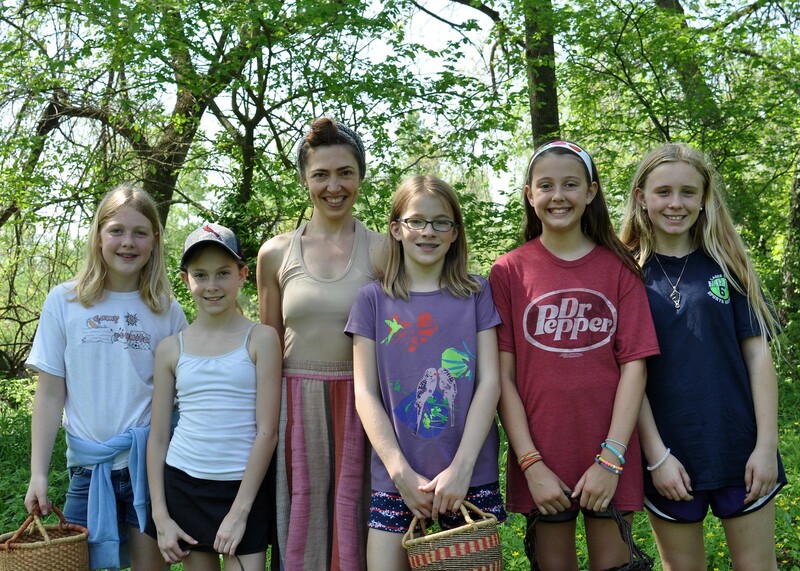 Upon Directress Rebecca Callander’s recommendation, the girls directed their foraging attention to a spot near the Meramac River in Greentree Park (before the entire location flooded last week! The entire area we visited above was/is under several feet of floodwater!). 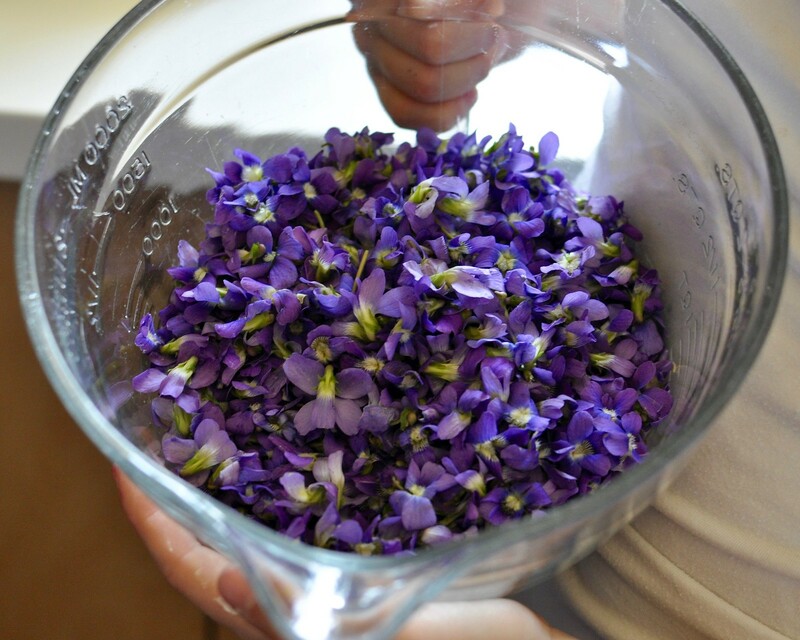 We were able to pick 4 cups of violets* in just under an hour. 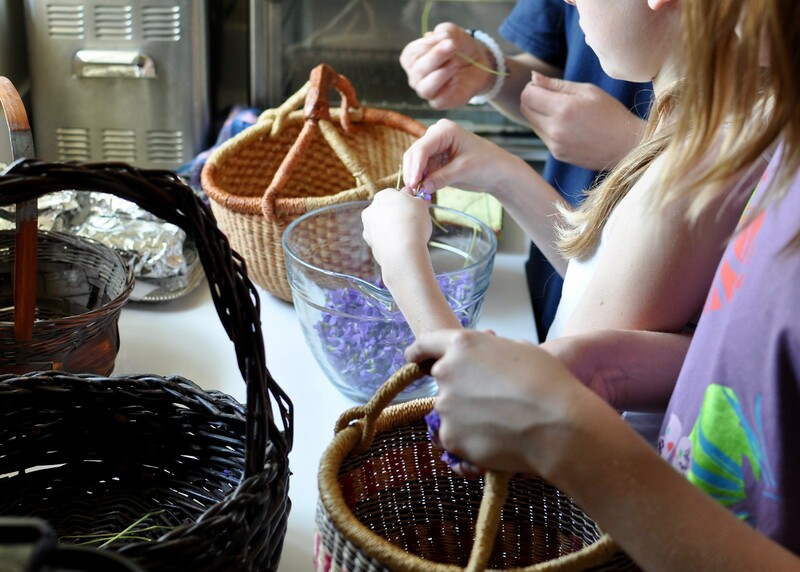 After bringing the violets back to the classroom, the girls sorted through and removed any stems that had been missed, then measured and rinsed the violets. 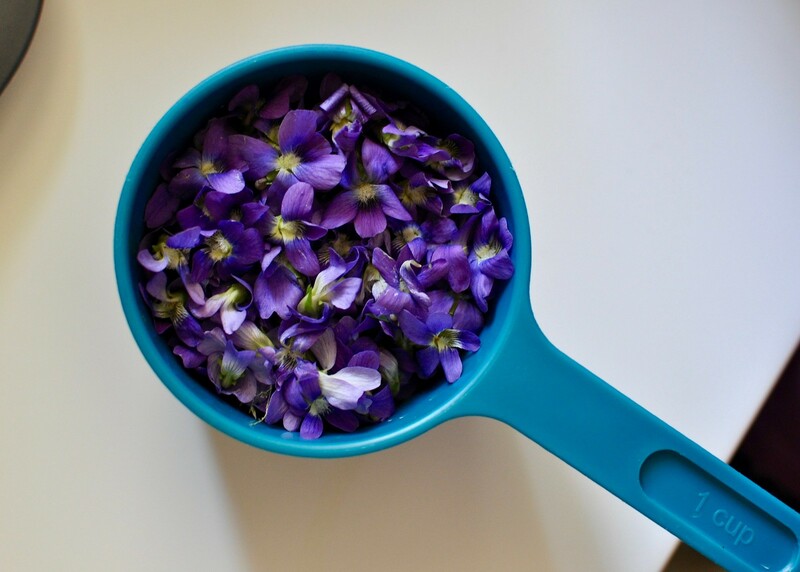 Interesting fact: the salicylic acid found in all parts of fresh violets is an active disinfectant and is also fungicidal! 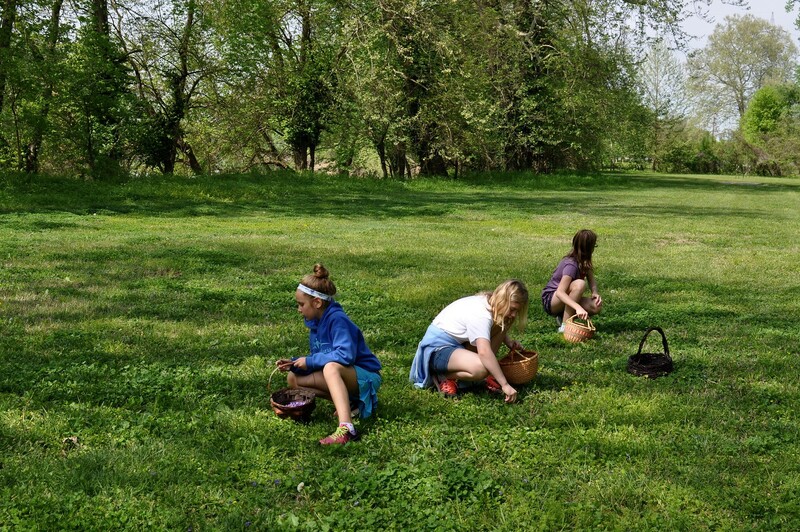 The spring pseudo-flower is what we see (the true seed-bearing flower is green and appears in the fall), and it is edible in all forms. 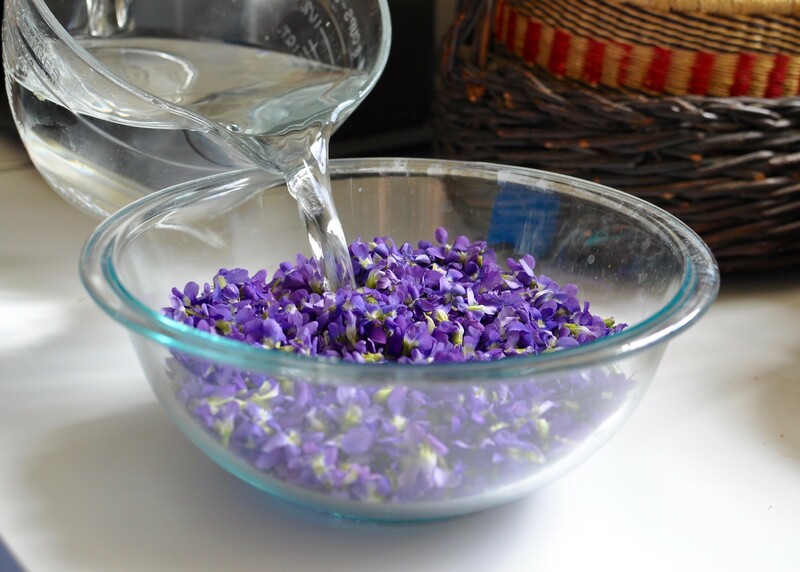 Try sprinkling some on a fresh salad for color! 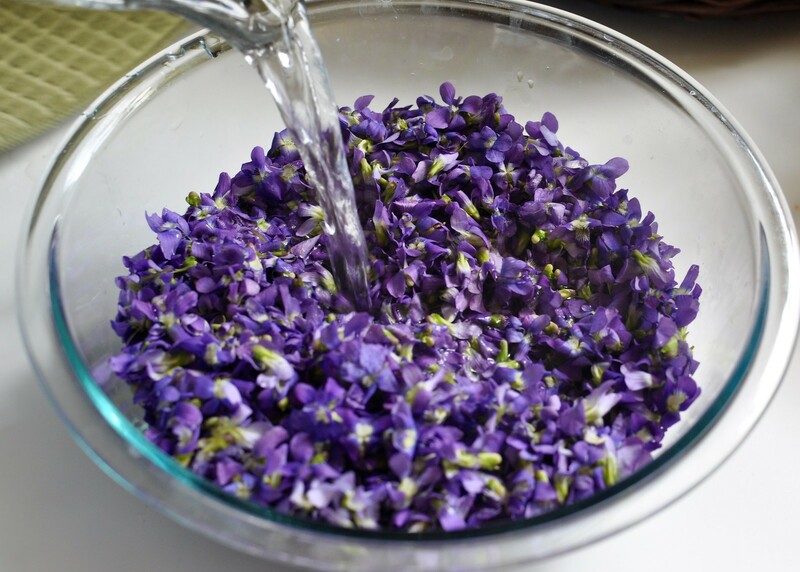 After removing the stems, the students poured boiling water onto the violets to steep overnight. The water almost instantly turned a beautiful blue color! 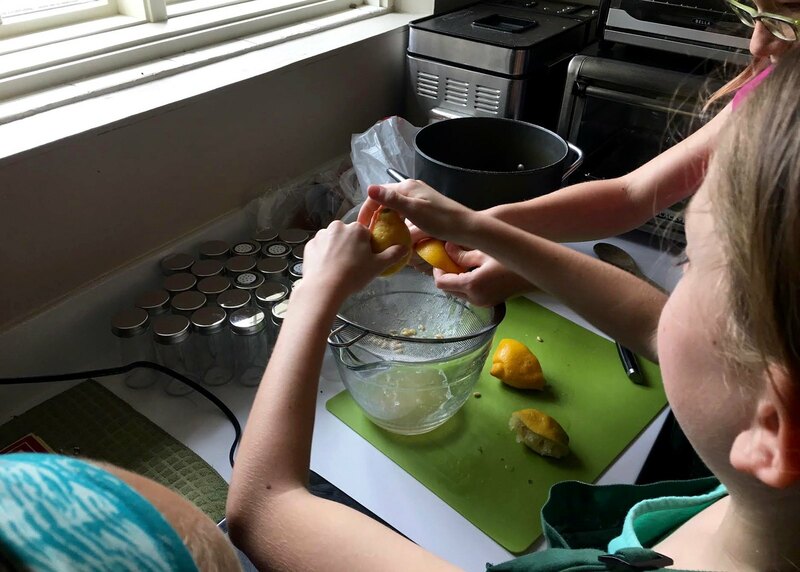 The following day, the girls got back to work, following this recipe from Taste of Home. 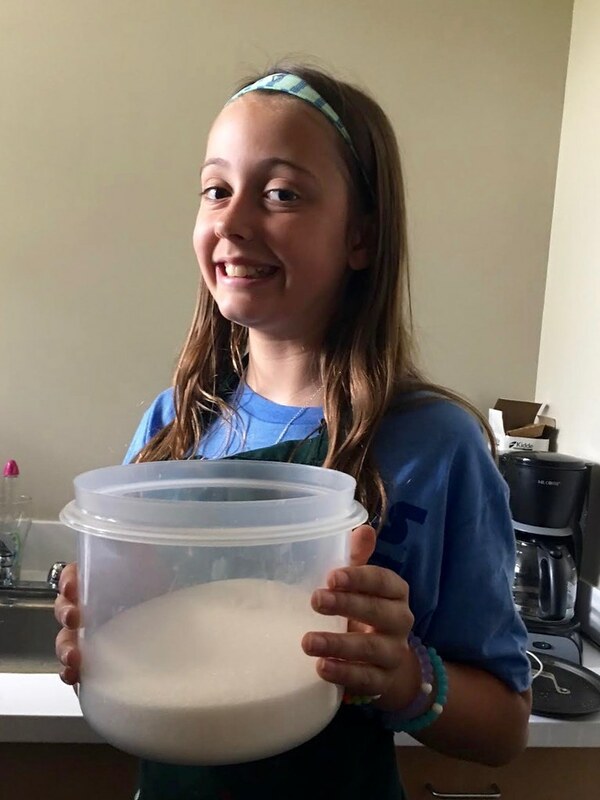 That’s a whole lot of sugar! 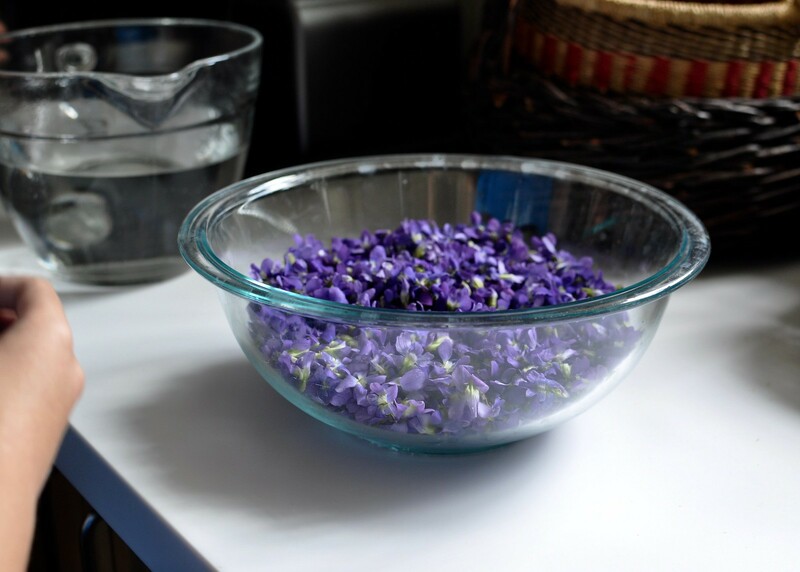 Rinse and drain blossoms; place in a large heat-resistant glass bowl. 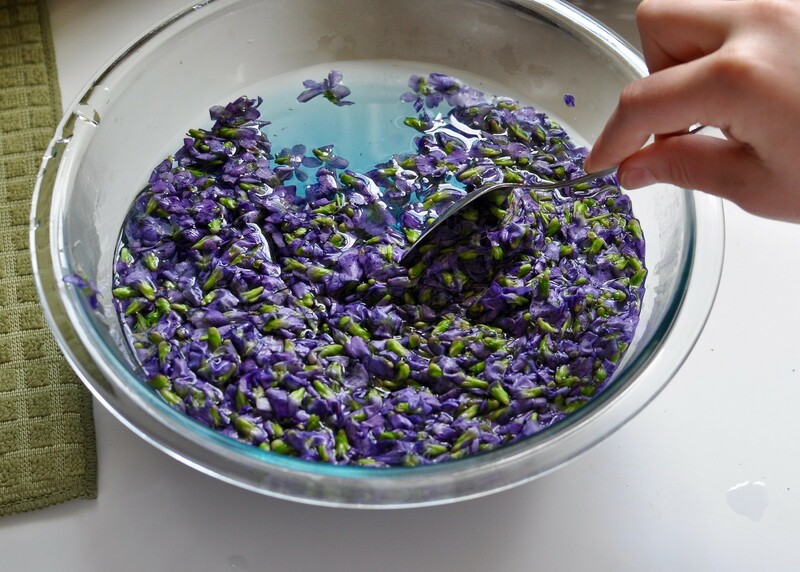 Pour boiling water over the blossoms and let stand for 2 hours (up to 24 hours), stirring occasionally. 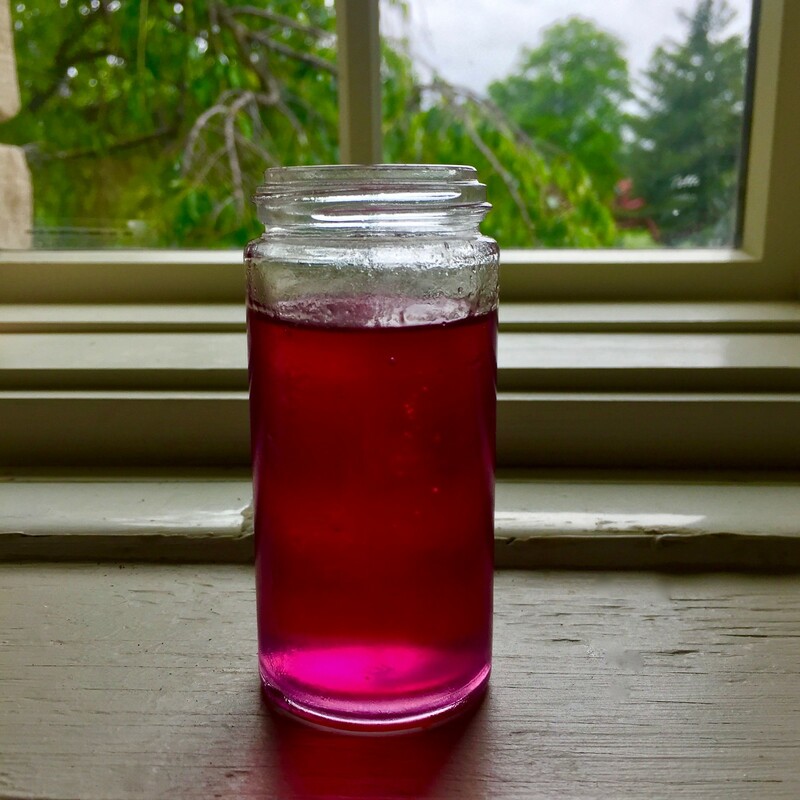 Strain and reserve violet liquid, pressing with a spatula to extract all possible color. Discard blossoms. 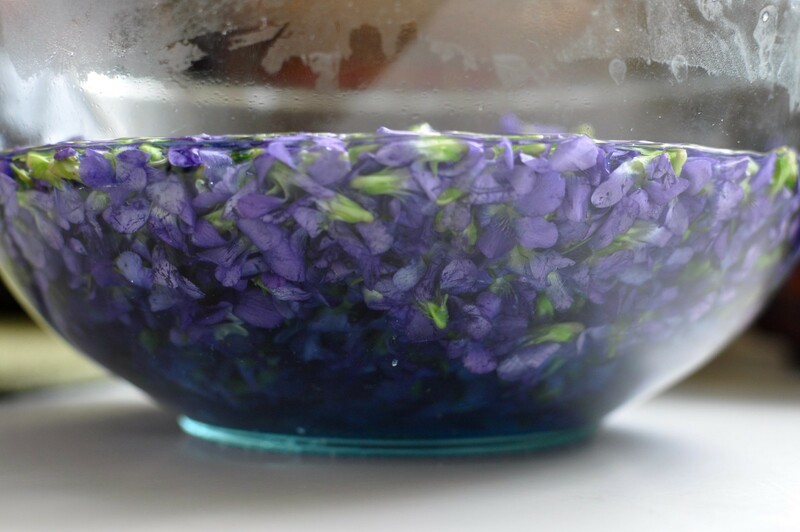 Measure violet liquid; add enough water to measure 3-1/2 cups (liquid will be blue-green). 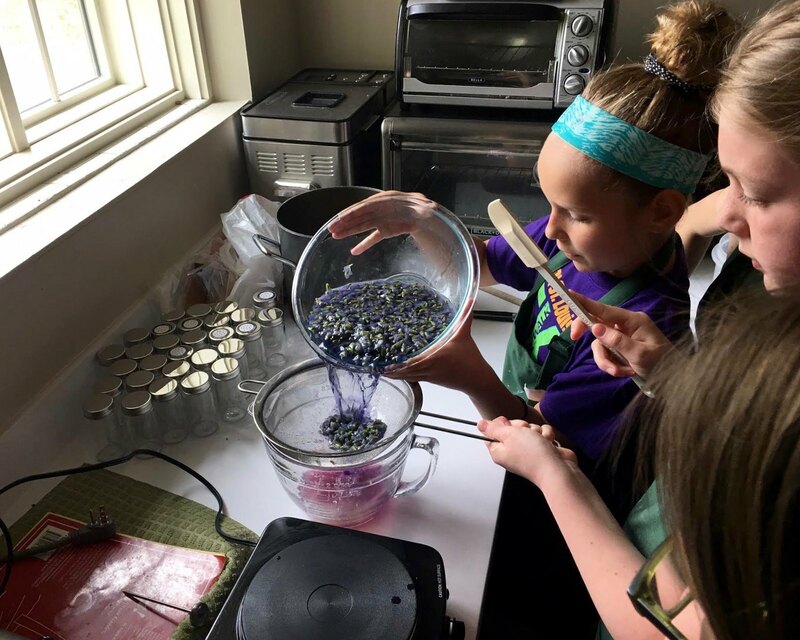 Stir in pectin, lemon juice and sugar (the liquid will turn a violet color). Pour into a large stainless steel saucepan; bring to a rolling boil, stirring constantly. Boil 1 minute. Remove from the heat; skim off foam. Carefully ladle hot liquid into hot sterilized half-pint jars, leaving 1/4-in. headspace. Remove air bubbles; wipe rims and adjust lids. Process for 5 minutes in a boiling-water canner. Yield: about 5 half-pints. The finished product, which has a subtle, sweet, slightly lemony/grape-y flavor. Delicious and beautiful! 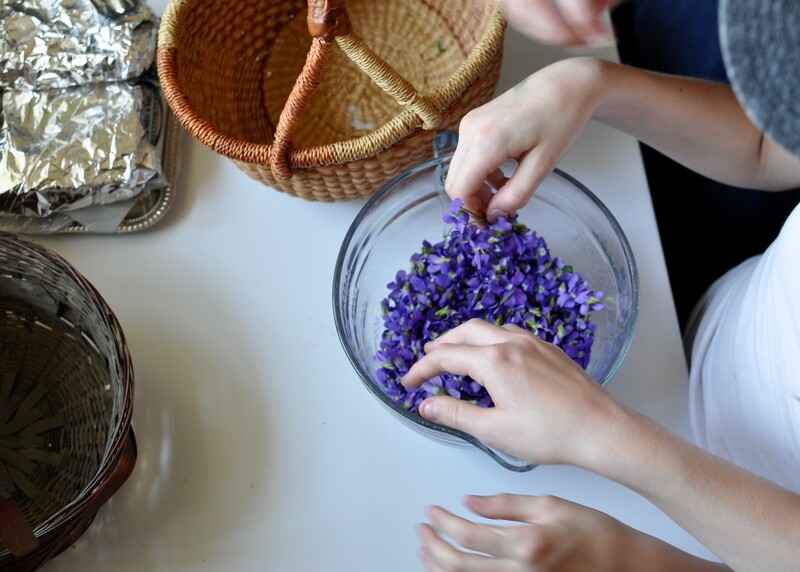 *Only pick common wild violets for consumption from spaces that are chemical-free woods or lawns.